Bernicia Chronicles: Happy Yule and thank you! Happy Yule and thank you! It's that time of year again, when the days are at their shortest and from this day forth we will be moving inexorably closer to spring and summer with each passing day. It is a time for family and friends to celebrate and also a moment to reflect on the year gone by. I'm not going to dwell on all the political upheavals of the year here, but I know that for many, 2017 has not been a good year. I share much of that feeling of unease and sadness at world events, but from a writing perspective 2017 has been an exciting and fulfilling year. Thanks for sharing it with me. 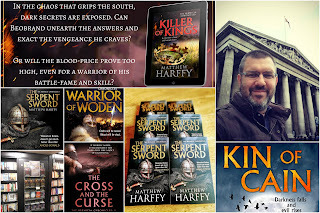 I released the novella, KIN OF CAIN and the novel, KILLER OF KINGS, book four of the Bernicia Chronicles, to overwhelmingly positive reviews. 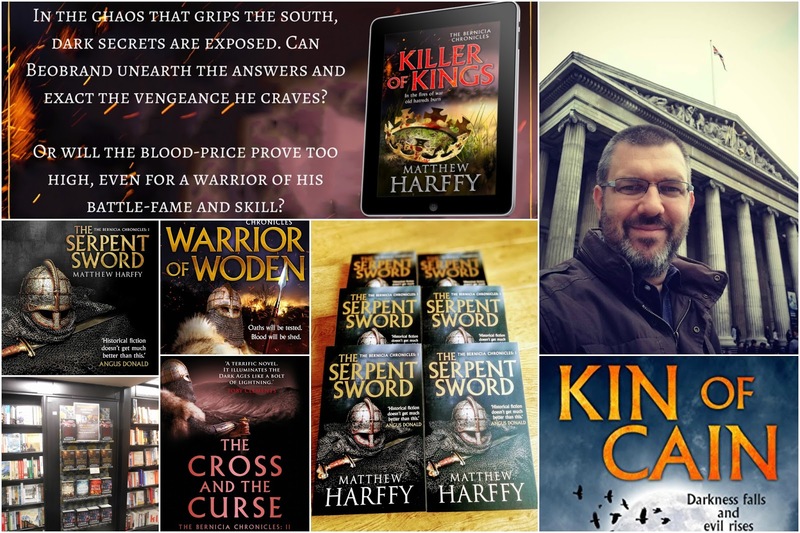 For the first time, my books have been available in high street bookshops and both the hardbacks and paperbacks that the team at Aria and Head of Zeus have put together are amazing. There is nothing quite like seeing the books on shelves in high street shops. I also talked and signed books at libraries and bookshop events for the first time, which was nerve-racking, but rewarding and exciting. I saw my first book translated into a foreign language (Russian! ), which was weird, but very cool. I hope there are plenty more translations on the way. Not only because they pay me, but I like to see what different countries do with covers! I finished book five of the Bernicia Chronicles, WARRIOR OF WODEN, which my agent says is the best in the series yet! And I am already 30,000 words into the first draft of book 6 (as yet untitled). 2017 has also been the year when I have seen my books go over the 100,000 sales mark, which I think is a pretty amazing milestone.